Long cables and multiple pedals will degrade your signal and starve your tone of top-end sparkle. 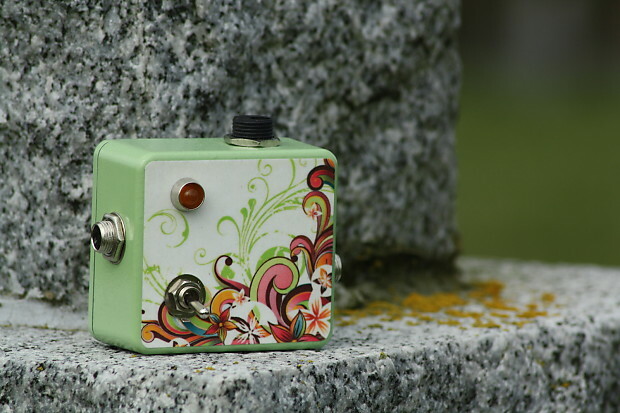 The Millipede FX - Pistachio Sundae Mini Buffer is designed to remove this signal loss, ensuring that your tone is unaffected by your cables or pedal chain. 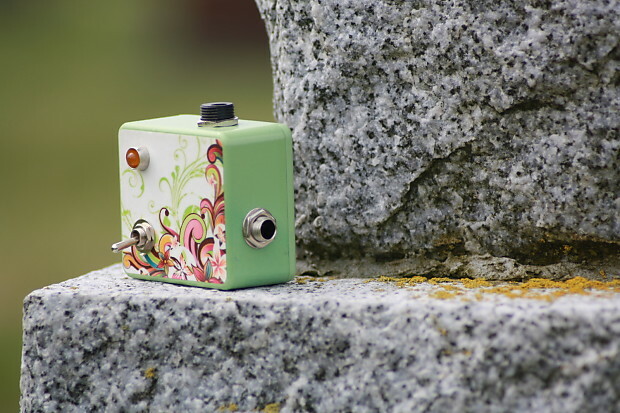 The Pistachio Sundae Mini Buffer has a tiny footprint on your pedal board measuring a mere 2.24” L x 2.04” W x 1.05” H, leaving ample space for your regular effects pedals. The circuit is built on a modern PCB for maximum reliability and tone quality. The buffer can be turned on or off via the heavy duty 3PDT built in switch, although once you hear the difference in tone, clarity and sparkle you’ll want to keep it on all the time! · Custom Graphics, Multiple Clear Coats for durability. · PCB Circuit for maximum reliability and tone quality. · Tiny Hammond 1550Q Aluminium Enclosure – Dimensions: 2.24” L x 2.04” W x 1.05” H.
· High Quality 1/4 Inch Input and Output Jacks. · 2.1mm 9V DC Power Jack (for use with ‘Boss’ style Wall Wart Power – not included). · High Quality 3PDT Switch. Every pedal is individually hand made and assembled by me. No two pedals are alike. 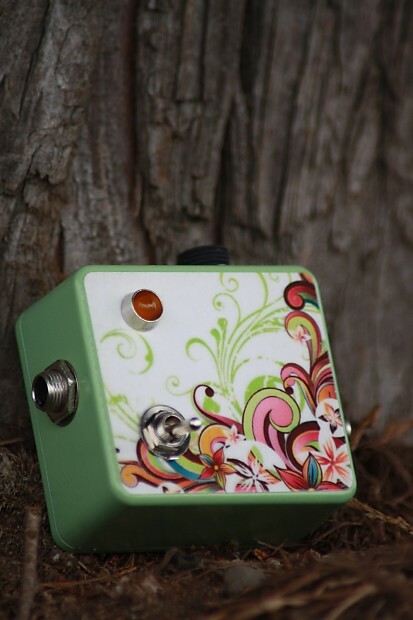 I hand wire each pedal, apply the spray paint and custom graphics by hand. There may be some small visual imperfections. However, each one is tested for sound and build quality, personally. 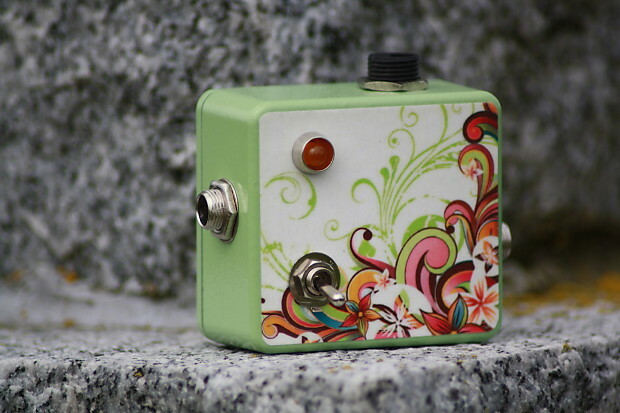 The Millipede FX pedals can be customised with different colours and graphics. 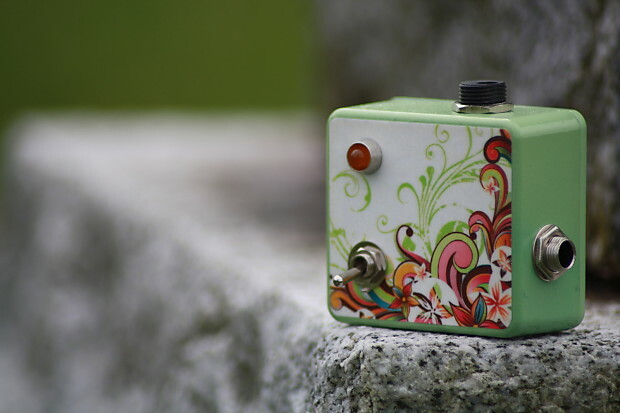 FOR EXAMPLE: Why not put your band’s logo, your favourite album or your pet’s photo on the pedal. 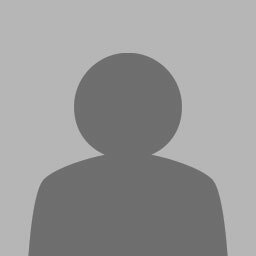 You can contact me to discuss your preferences.